“The best, the liveliest and most illuminating” account of Rockefeller, Morgan, and the other men who seized American economic power after the Civil War (The New Republic). John D. Rockefeller, J. P. Morgan, Cornelius Vanderbilt, Andrew Carnegie, E. H. Harriman, Jay Gould, Henry Clay Frick . . . their names carry a powerful historical ring, still echoing today in the countless institutions that are part of their legacy, from universities to museums to banks. But who were the people behind the legends, and how did they rise to their positions of vast wealth and influence in the latter half of the nineteenth century? 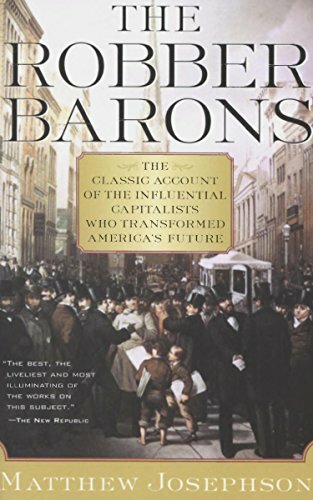 The Robber Barons is a classic work on the financiers and industrialists of the Gilded Age, who shaped their own era as well as the future of the United States—“not a mere series of biographies but a genuine history” (The New York Times Book Review).